No need to dig for change or write a check. 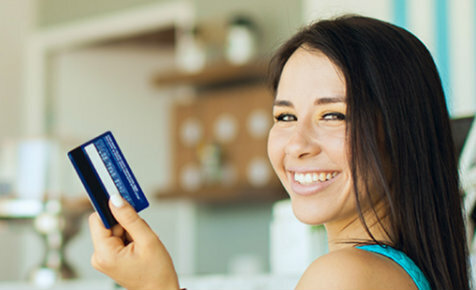 Use your free MembersAlliance Visa® debit card for all of your purchases, anywhere Visa is accepted. With near real-time alerts, you can receive updates on your Visa debit card activity through email, so you can monitor your Visa purchase activity and act quickly to reduce fraud — wherever you are. And this unique service is available free* for MembersAlliance Visa debit cardholders. To enroll in Purchase Alerts for your Visa debit card visit visa.com/PurchaseAlerts and follow the screens/prompts. You will need to create an account and enter an email address that you would like the Purchase Alerts emailed to. Please note: Point-of-Sale (POS) or Personal Identification Number (PIN) based transactions do not run through the Visa payments system and will NOT generate an alert. Alerts are emailed to the address you provide at enrollment. These are just informational alerts and should a transaction appear suspicious or fraudulent you should contact the credit union as soon as possible. Actual time to receive Alert dependent on service and coverage within area. Gasoline alerts may not include purchase amounts. Additional restrictions may apply.